The TIFF format is perhaps the most versatile and diverse bitmap format in existence. Export Crystal reports to TIFF & automatically deliver them to an FTP site, send them in emails, or deliver them to any number of other destinations. 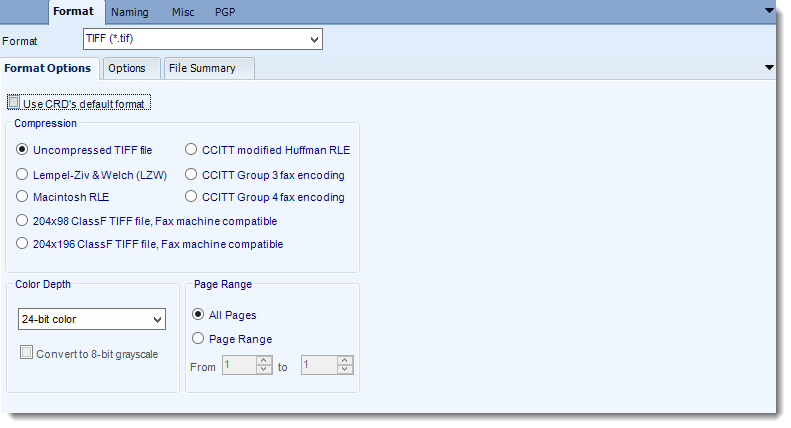 You can use CRD's default formatting options for TIFF (.tif) files or specify your own settings for the output.